The totally free "three-day" 2014 Twin Cities Jazz Festival really got its start in early June with the first of three Jazz in the Library gigs. 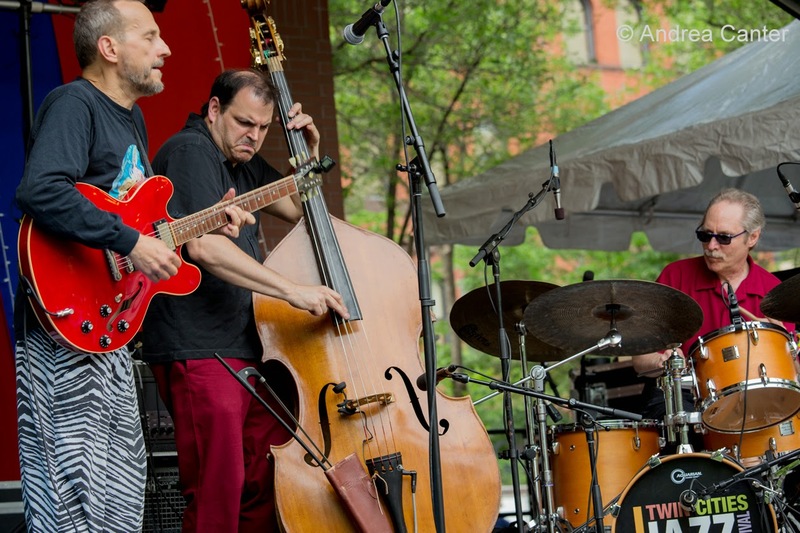 The Saint Paul-centered event really expanded across the entire state as the festival-sponsored Jazz Central All-Stars launched a 3-month, six-city tour in late May. 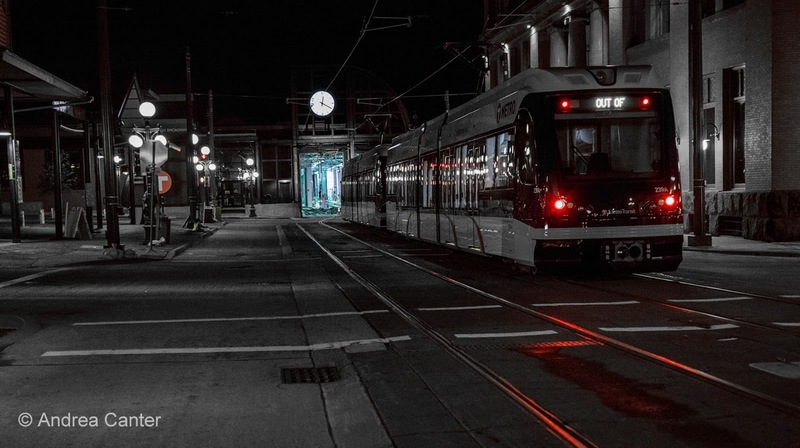 The festival's Lowertown/Downtown venues pushed beyond their usual boundaries to follow the new LRT Green Line along University Avenue, with six new "jazz stops" easily accessible via free rides on Light Rail. Names like Marsalis, Reeves and Krown shared raves with the likes of Aldana, Lea and Hagedorn. With four active outdoor stages, more than two dozen additional club and concert venues, and more than 120 sets of music, an audience of over 20,000 enjoyed nearly three days of fabulous summer weather and endured one evening of torrential rain, forcing the final sets into alternative club spaces, with standing (or dripping) room only. The shows, nearly every set, went on without missing a beat, contributing to one of the most memorable jazz festivals in the event's sixteen-year history. If it was the best of times, it was also the most frustrating with moments when at least three outdoor stages and a dozen or more club/theater stages presenting music simultaneously at any given moment. But this is the best sort of frustration-- having to choose among win-win-win options. 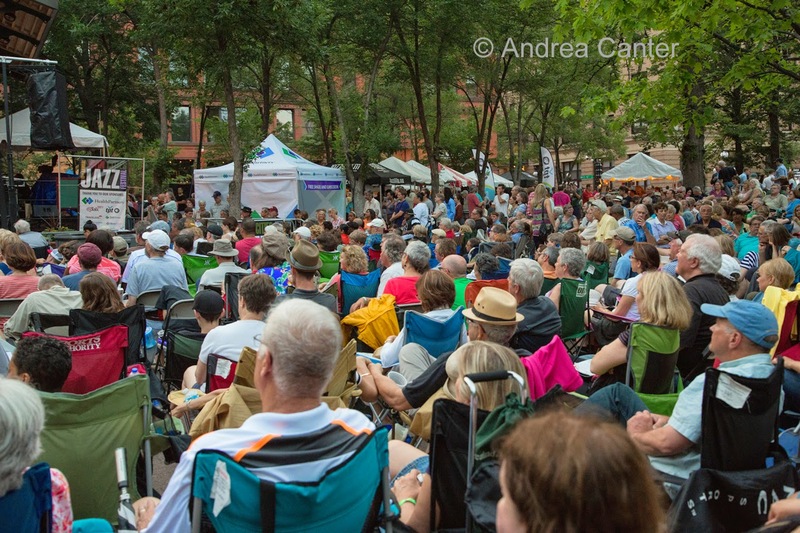 And if there had been some apprehension that the festival had expanded too much -- that the crowd would spread out to the degree that many venues would be running on empty--a personal survey suggests that audiences were strong, at least throughout Lowertown and Downtown. Standing room only was the rule, from the park to the Depot to the Amsterdam, and small points in between. Given the expanse of the festival, a single reviewer can barely cover the high notes and some sidebars. This is not intended as a comprehensive overview - but selected highlights from a selective --and at times frustrating--attempt to sample Jazzfest. 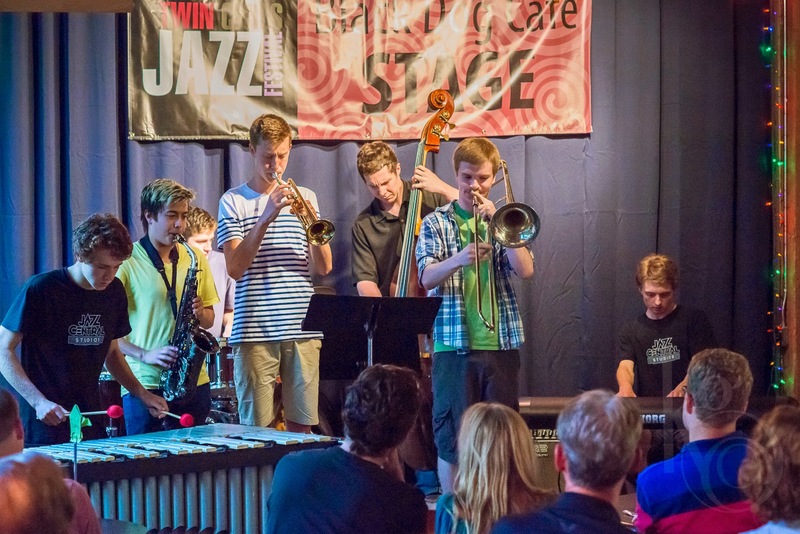 For the fourth year, Legacy* funding supported three pre-festival gigs in Saint Paul community libraries, bringing a broad taste of jazz to the neighborhoods in June. Kicking off mid-afternoon on June 8th in the downtown Central Library, the virtuosic, cross-generational guitar duo of Joan Griffith (Sambanova) and Sam Miltich (Clearwater Hot Club) mixed hot club swing and Brazilian folkloric music into a magic potion for an audience of 100+ in the elegant Magazine Room. Much of the music came from Joan's Sambanova collection, but Sam's Django leanings put a very different spin on samba and choro, and Joan seemed energized by the shift in direction. 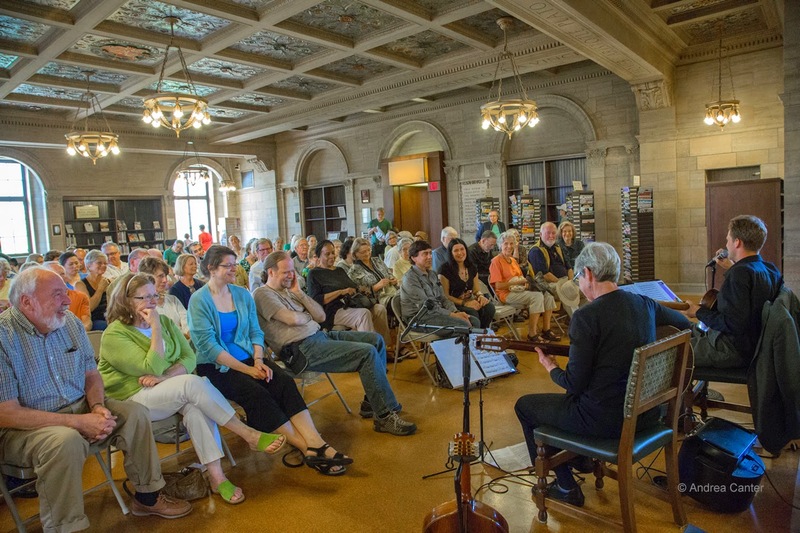 The other library performances included original compositions and arrangements from pianist Bryan Nichols and quartet (Brandon Wozniak, James Buckley and Cory Healey) at the St. Anthony Park Library (June 18) and the Latin American rhythms of Doug Little's Trés Mundos (Vivian Pintado and Mariano Flores) at the Arlington Heights Library (June 25); both family-centered evening gigs were well attended (50-60). 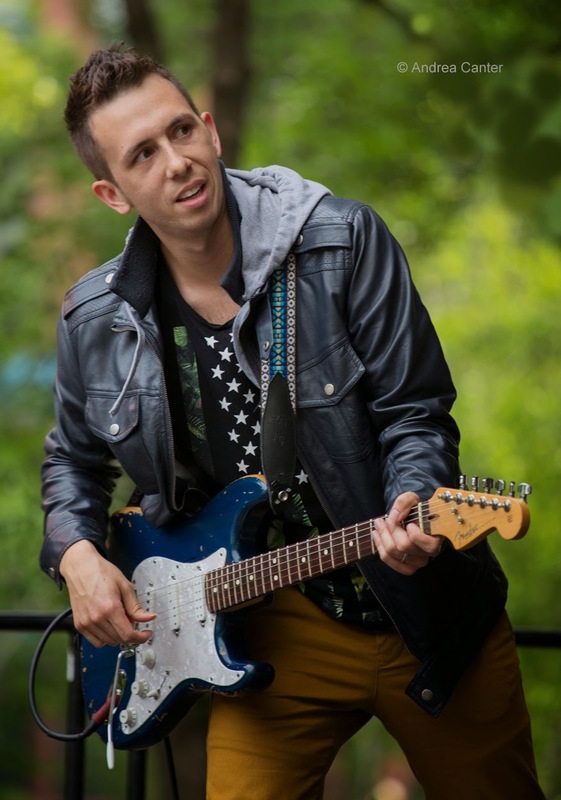 Traditionally the festival has officially launched Thursday night with a "club crawl" and Mears Park sets cosponsored by the weekly Music at Mears project. 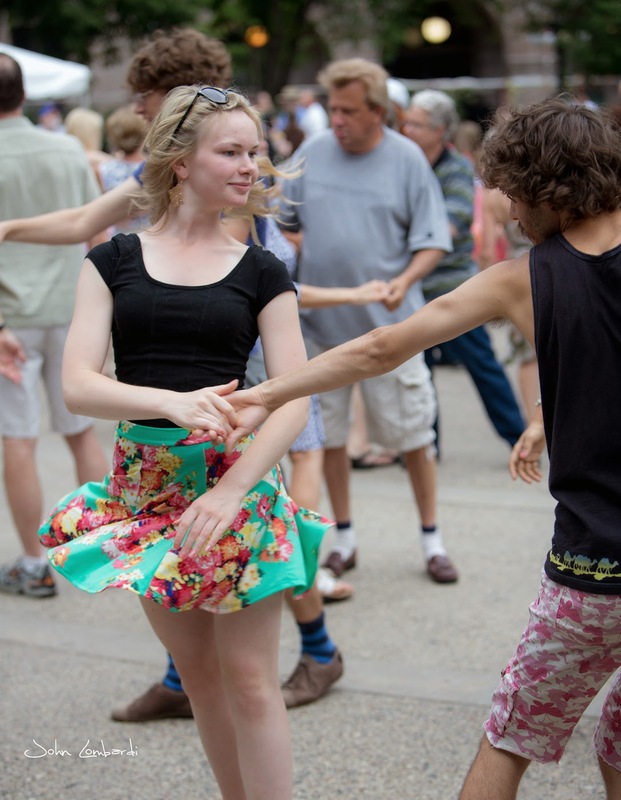 But "Jazz Night Out" became Jazz All Day, with the new Green Line Jazz Stops opening at noon and the Mears Park Main Stage opening at 4 pm; music from University Avenue to downtown Saint Paul (including a Swing Dance at Rice Park!) to West 7th Street continued well past dark. Two of the area's purveyors of original music played back to back at Mears Park, as Foreign Motion with Cory Wong (with Kevin Gastonguay, Yohannes Tona and Petar Janjic) tore apart the opening set -- Janjic is a wild man behind the trapset and Wong burns a lot of energy twisting wit his guitar across the stage. Somewhat more restrained physically but also lighting fires musically, the Atlantis Quartet (Zacc Harris, Brandon Wozniak, Chris Bates, Pete Hennig) capped Music at Mears with a set of original compositions pulled from the quartet's four albums as well as some new tune covering a range of harmonies and some enduring melodies. In spring 2014, Saint Paul's long-running new music ensemble Zeitgeist commissioned (via Kickstarter) four jazz artists to compose new works, to be premiered at the festival with the Zeitgiest ensemble at its home base at Studio Z. 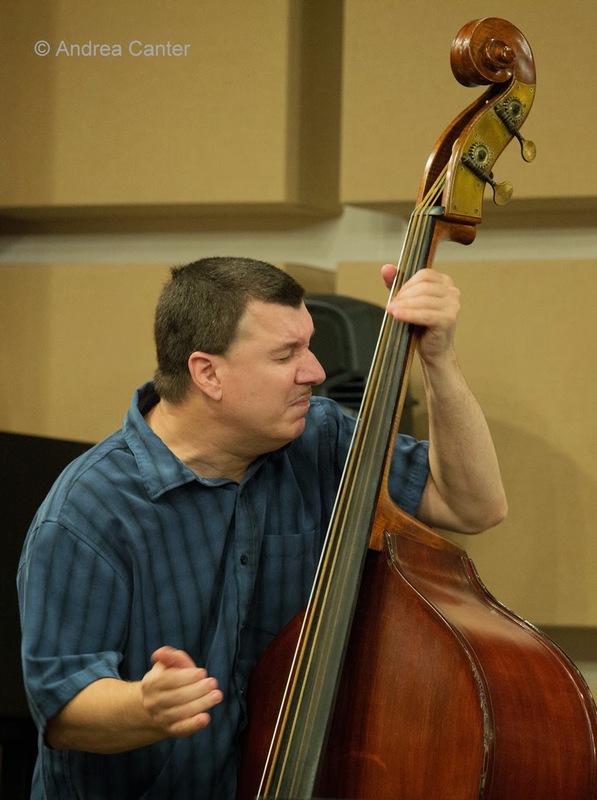 The works opened Studio Z's festival schedule both Thursday and Friday, presenting Zacc Harris, Chris Bates, Davu Seru and Steve Kenny with the ensemble, the music coming at that "muddy place" were jazz meets new music, noted Zeitgeist manager and percussionist Heather Barringer. On Premiere I, Zacc Harris led off with "Corridors," an intriguing interaction among Zacc's guitar and the percussion (including vibes) and bass clarinet of Zeitgeist. Chris Bates' piece soared like a symphony, while Davu Seru emphasized the beauty of vibes and bass clarinet against the percussive artillery of the ensemble and his trapset. 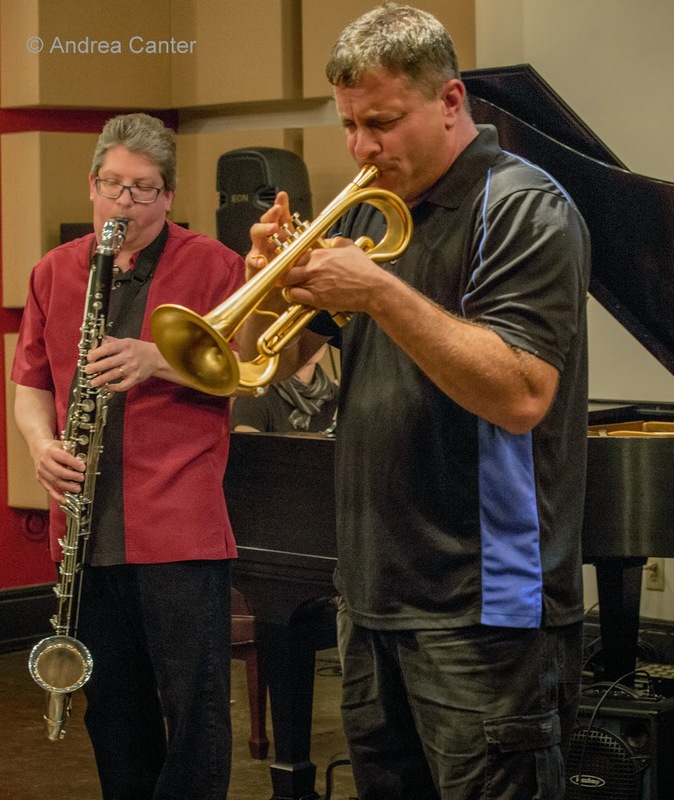 Trumpeter Steve Kenny grandly saluted three late composers with his "Ghost Suite" -- "Bob's Bounce" (Bob Samarotto); "Stoked" (Eric Stokes); and (in Kenny's inimitable punster style) "Crimea River" (Yuri Merzhevsky). 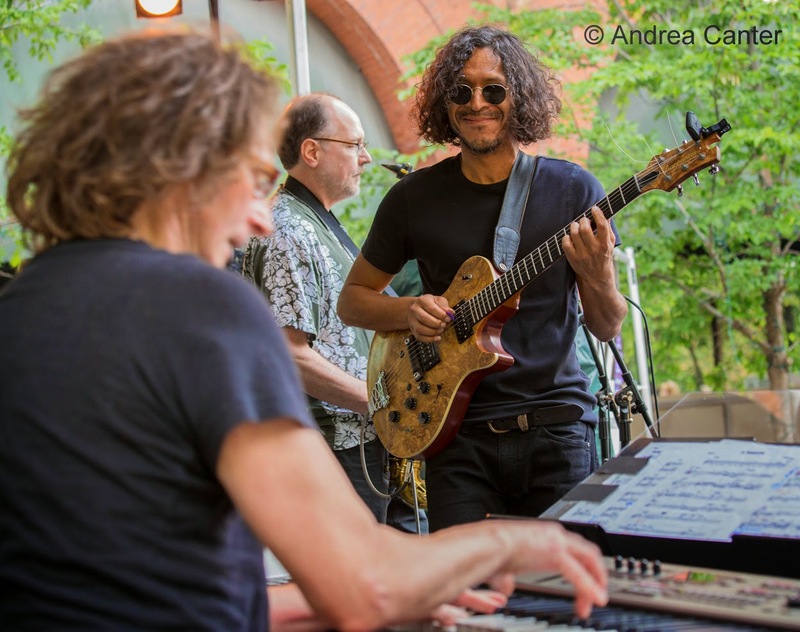 One of the anchor venues in Lowertown (all year long), the Black Dog hosted set after glorious set throughout the weekend, starting out on Thursday with the much anticipated return of the Joel Shapira/Dean Granros guitar duo. Coming together last winter with a couple return visits since, these veterans fit together as if born to share the stage, with exquisite and powerful arrangements of Sonny Rollins' "Oleo" and the Styne/Cahn chestnut, "I Fall in Love Too Easily." 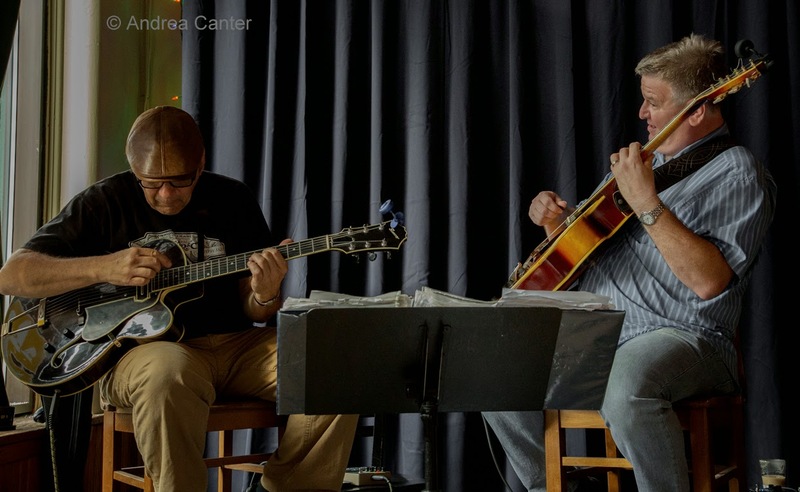 Later in the evening another duo, guitarist John Penny and drummer Jay Epstein, put on a very different display at the Black Dog, bouncing between Brazilian fare from the likes of Jobim to more intricate freestyle conversations. New on East 4th Street this summer is the second location of the Bedlam Theater, Bedlam Lowertown, which took over one of the charming, brick-interior spaces across from Union Depot and the new LRT station. 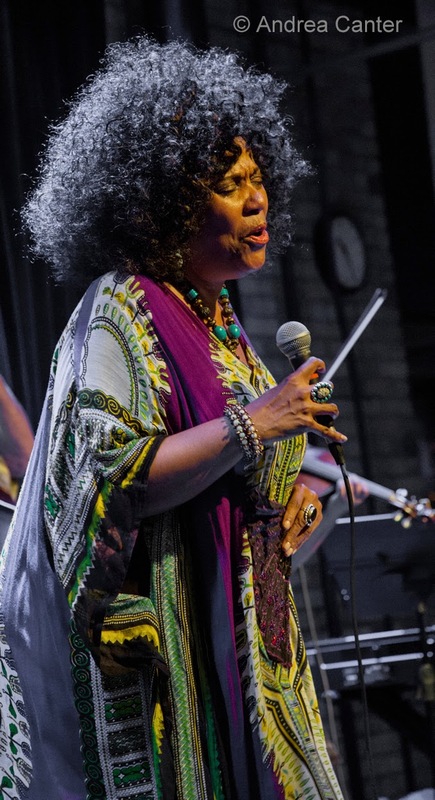 The second set of the evening featured vocalist and bandleader Pippi Ardennia and her PipJazz Band (Brian Christianson, Billy Peterson, Glenn Swanson and young violinst/vocalist Zosha Warpeha). A frequent festival performer in recent years, Chicago native Pippi has a big voice and a bigger personality that can command attention even in a large space like Bedlam, and the colorful lighting was easily matched by the music -- including arrangements of jazz and pop hits ("Here's to Life," "Summertime," "On a Clear Day") and Pippi's original songs ("Love So Good"). The Amsterdam Bar drew crowds all evening but is known for keeping the music going past midnight. 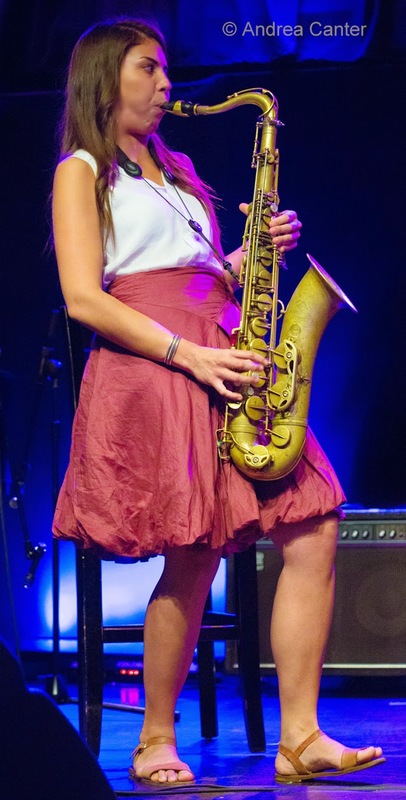 And what better way to finish than with the Jana Nyberg Group-- a bit of pop, a bit of sass, some flute, some original songwriting, and all with a jazz sensibility and one of the tightest small ensembles in town? 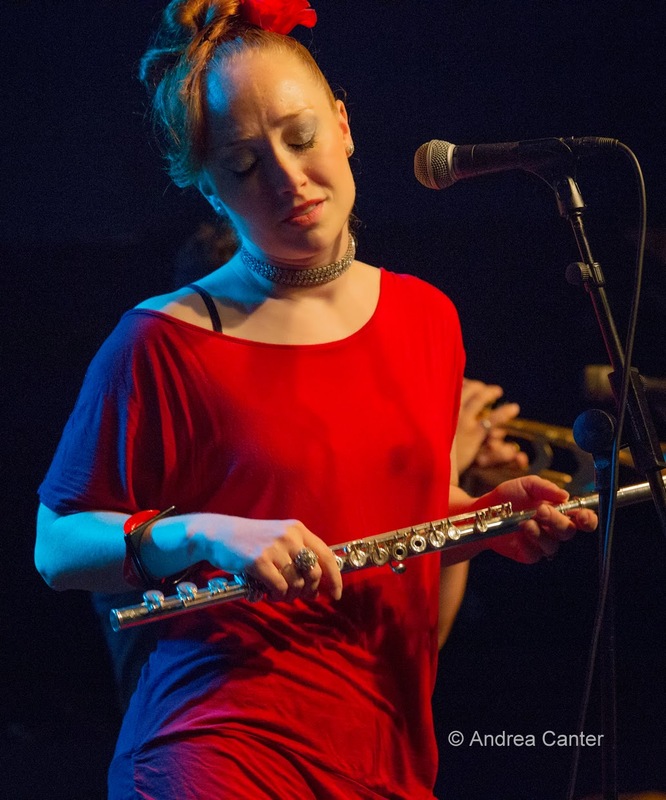 With trumpeting husband Adam Meckler close at hand, and Thomas Nordlund, Matt Peterson and Andres Crovetti providing rhythm and pulse, Jana sang with voice and flute; her back and forth with Adam is always a treat to see and hear. Green Line Stops again started off midday, and early afternoon brought the first several free, all-ages clinics, this one at McNally Smith College of Music with Friday night headliner Branford Marsalis taking a casual Q & A approach to a full auditorium of students, area musicians and jazz fans. Mears Park music got underway on the HealthPartners Main Stage with the always-popular trio, Red Planet (Dean Magraw, Chris Bates and Jay Epstein) and their intergalactic arrangements of Coltrane, Coleman and original works. They set a high standard for the rest of the evening, with the adjacent MyTalk107.1 Stage (Sixth Street) boasting former Twin Cities resident, Peruvian guitarist Andres Prado and his reconstituted quartet Mississippi (Pete Whitman, Jeffrey Bailey, Kevin Washington) tackling 60s icons and Peruvian influences, followed by former Bay Area talent and relatively new Twin Cities resident, percussionist Babatunde Lea and his smoldering quartet (Zacc Harris, Jeffrey Bailey--again, and part-time resident Richard Johnson). 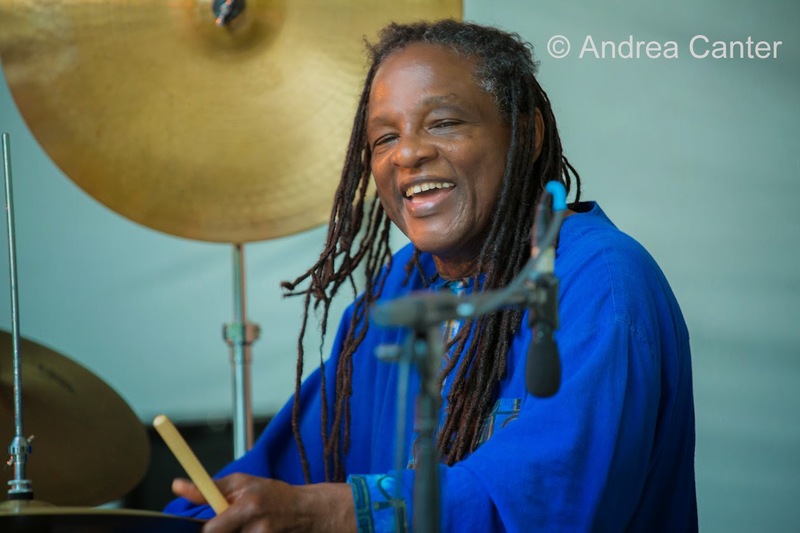 One-time cohort of Stan Getz, Leon Thomas and Oscar Brown, Jr., Lea has developed what he calls the troponga -- a melding of American trapset and African percussion, a set-up he demonstrated the next morning for an open clinic at Studio Z. For Friday night, he led the band through some favorite post bop tunes and original fare, highlighting the talents of his cohorts, particularly the high-energy Johnson, who spends a good part of his working days with Delfeayo Marsalis. Another night of piano jazz at Studio Z included the seldom-performing Chris Lomheim Trio (previewing a new studio recording) and the second of three sets with "house pianist" Jon Weber, with a stellar solo set of mostly original music in-between from Steven Hobert. His improvisations on Indian ragas were oddly beautiful, but perhaps the highlight was his gorgeous rendition of "Danny Boy." Watch for a fall release of Steven's new recording. 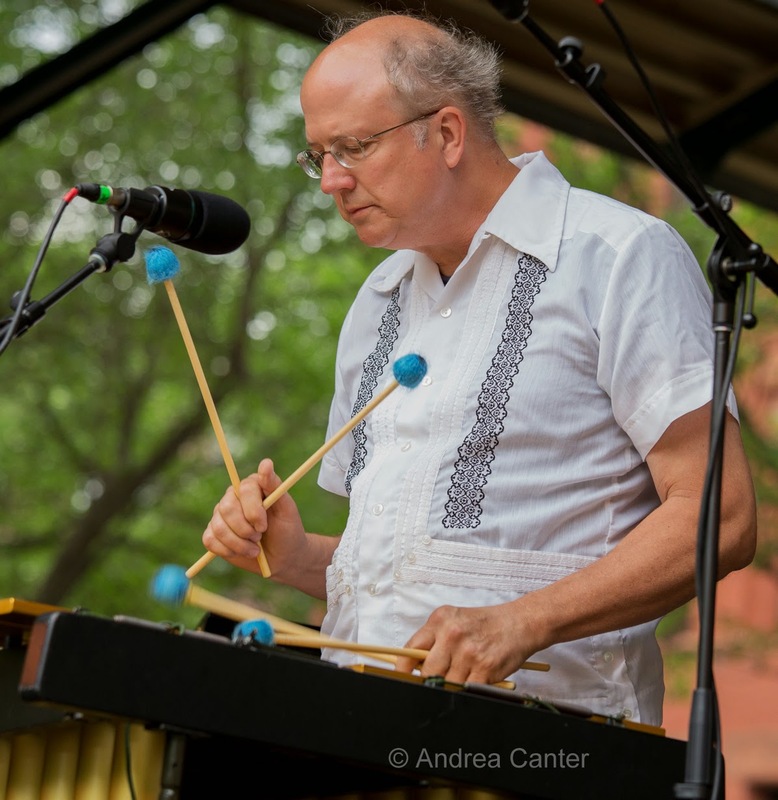 Back on the Main Stage, the last-minute visa delay that pre-empted "Latin gypsy swing" ace Lulo Reinhardt opened the door for a makeshift quartet of veterans led by vibraphonist Dave Hagedorn (Jon Weber, Steve Pikal, Phil Hey). Having never performed as an ensemble, the quartet proceeded to knock it out of the park on a set of standards that left the audience calling for more of this band in the future. Weber seems to come to town often enough to make this happen! 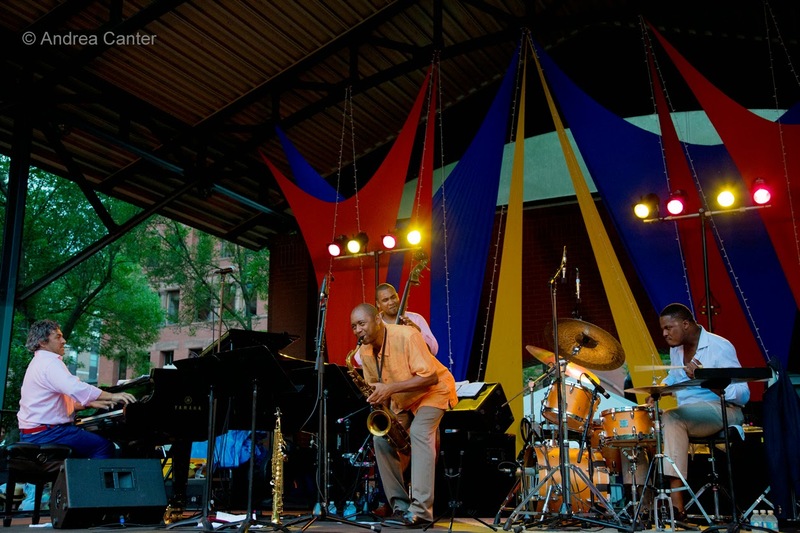 The Branford Marsalis Quartet closed down Mears Park with its much-anticipated set of music, much drawn from the band's Grammy-nominated 4 MFs Playing Tunes. 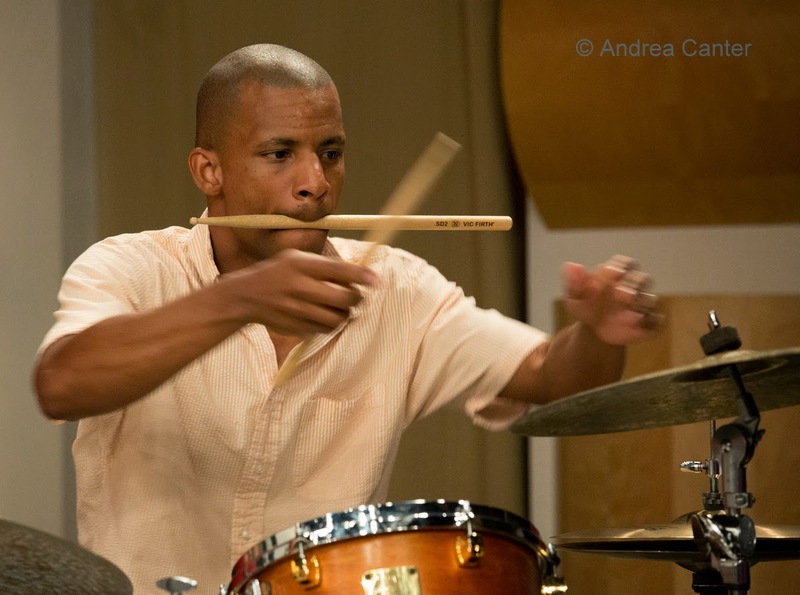 In addition to the physically as well as musically acrobatic Marsalis on soprano and tenor sax, the "sidemen" proved stars in their own rights, from the wide-ranging pianist Joey Calderazzo to flamboyent powerhouse young drummer Justin Faulkner and young tasteful bassist Russell Hill, ably taking over for long-time Marsalis partner Eric Reavis, who is on tour with his own band. 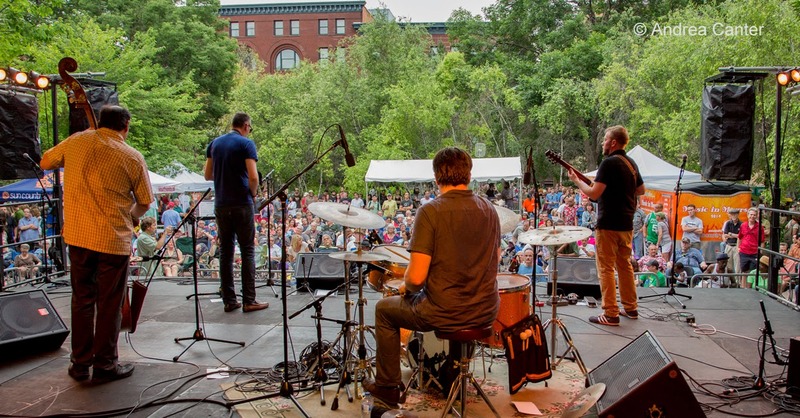 Despite the well- attended gigs going on simultaneously throughout the area, Mears Park was packed from edge to edge, curb to curb, on one of the most pleasant evenings of the summer. Music was spread farther and wider on the final day of the festival, reaching all the way to Como Park (Larry McDonough) and boasting the annual Youth Showcase on the Dakota Foundation for Jazz Education Prince Street Stage, wedged between the LRT Prince Street Station and the Black Dog. 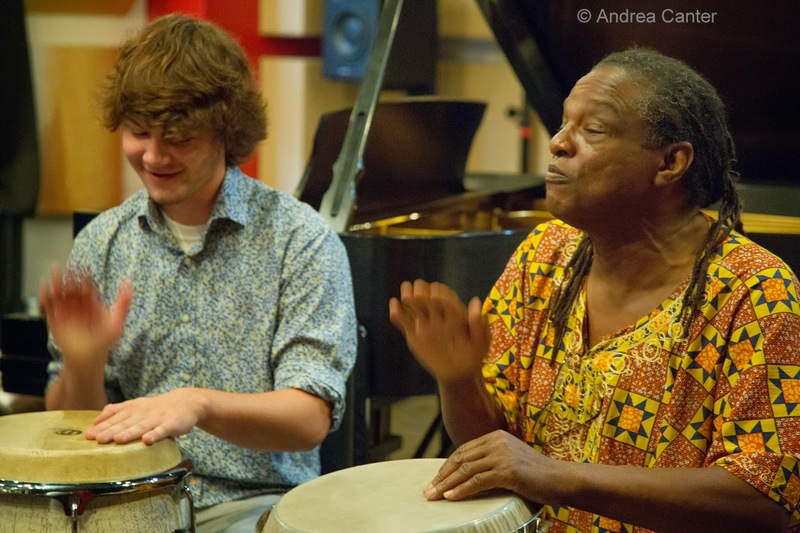 Things got going early with Babatunde Lea's percussion clinic at Studio Z in the morning, and about 30 "students" from young teens to "older" adults enjoyed a hands-on lesson in African rhythms, chants, and conga magic. 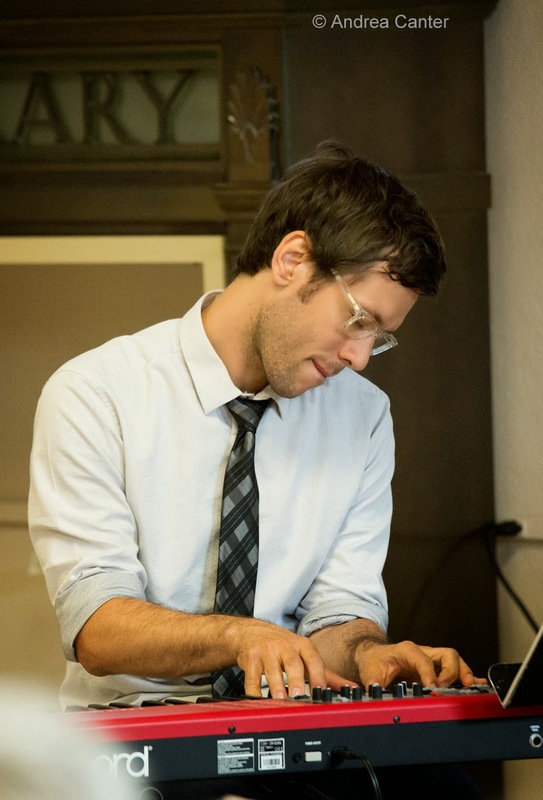 Later in the afternoon, New Orleans keyboardist Joe Krown held a clinic at McNally Smith while young New York-based pianist Javier Santiago led a clinic following his performance at the Rondo Library (Dale Street Station). Outdoor stages opened at Noon at the Union Depot on the tpt Stage, with the first part of the afternoon filled with the annual singer showcase, VocoMotion, with swinging instrumental backing provided by the Wolverines Trio (Rick Carlson, Steve Pikal and Jendeen Forberg) with special guest, Dean Magraw. In successive sets, the "south end" crowd on the Depot lawn enjoyed songs from Lucia Newell, Maud Hixson, Debbie Duncan and Prudence Johnson. Meanwhile the Youth Showcase got underway at 1 pm, with seven youth bands ranging from high school to college age performing at a level seldom seen among such young ensembles. 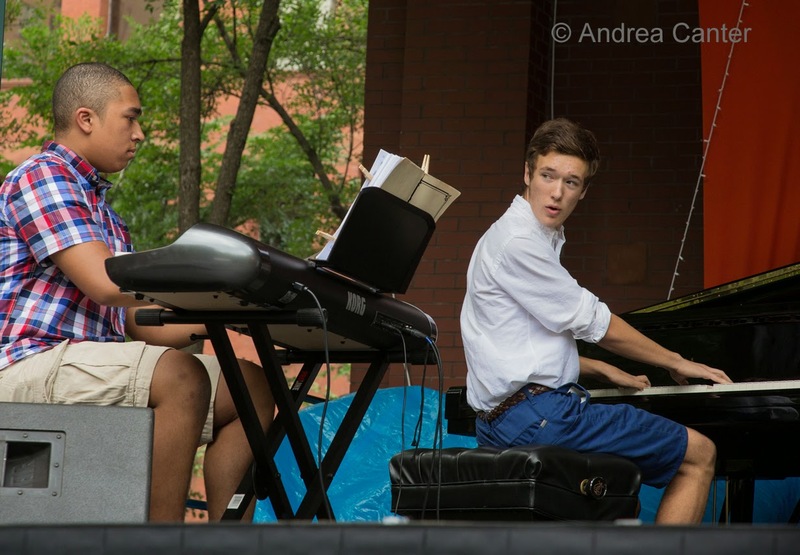 More young talents, this time students at Walker West Music Academy, convened the HealthPartners Stage at Mears Park, with the usual quintet fare augmented by a fast-moving two-keyboard duet featuring John Blanda and Jordan Anderson -- definitely two teens to watch. Slightly older, the student musicians who formed the McNally Smith edition of the X-Tet, directed by Pete Whitman, were able to finish their high-energy set on Sixth Street before the weather took a nasty turn. 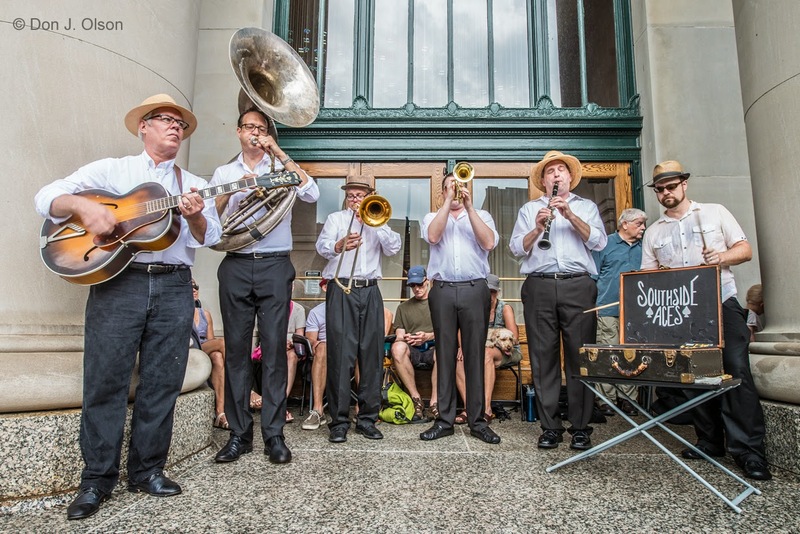 With the Adam Meckler Orchestra completing sound check on the HealthPartners Stage, with the Southside Aces just getting underway at the Union Depot, and the Southside Jazz Combo into their first tunes on Prince Street, the rains came. And came hard. Although there was a reprieve about 20 minutes later, the forecast, and rising mud at Mears Park, did not bode well for resuming activity on the outdoor stages. Some quick realignments and cooperative ensembles allowed the bulk of the festival's music to continue. 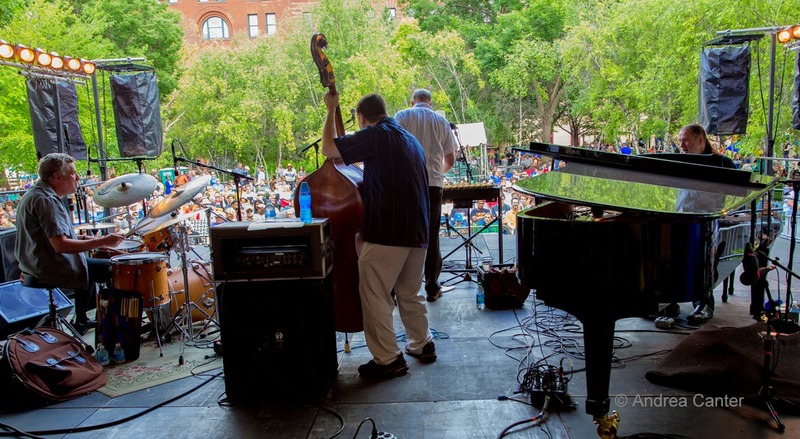 In the end, a few sets were cut short, and remaining MyTalk Stage sets and Jazz Central Showcase were pre-empted by the would-be Mears Park headliners who moved into the Amsterdam. 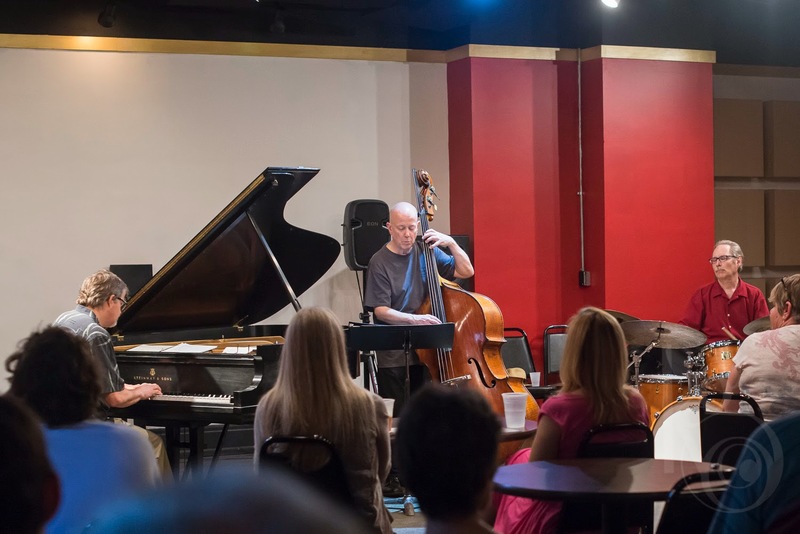 The Bill Brown Quartet and Joe Krown Trio moved from Union Depot to the old Artists Quarter space in the Hamm Building that had been set up for After Hours Jams; the Black Dog graciously accommodated the last sets of the Youth Showcase. This was perhaps the best display of improvisation of the festival! The weather drove more fans into the indoor clubs as neither the Amsterdam nor Hamm Building space could accommodate the anticipated crowds-- many were turned away and likely a few city crowd ordinances were ignored! Still, it seemed at least 1,000 were on hand for the finale at the Amsterdam -- not the anticipated 4,000+ that would have filled Mears Park, but equally enthusiastic and wedged in even more tightly! And what a finale it was. 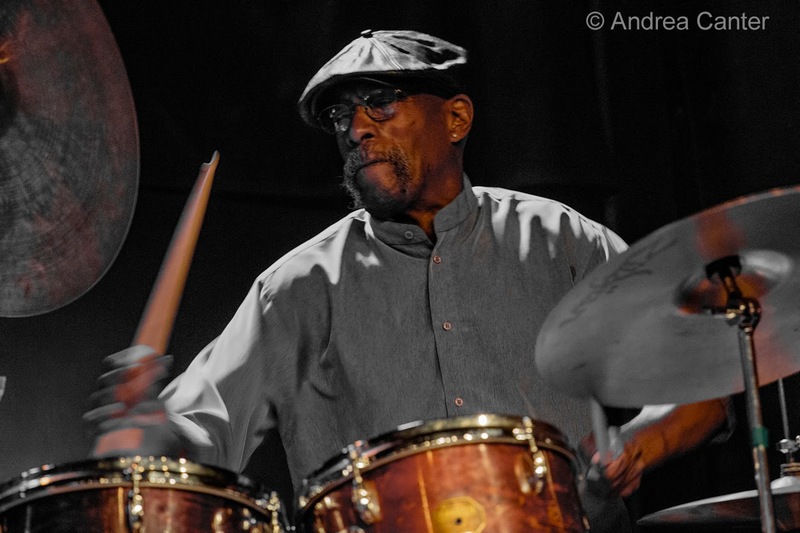 Eric Gravatt's Source Code was able to fill its scheduled time slot on the Amsterdam Stage, and drummer Gravatt with local heavies Dean Magraw, Dave Graf, Solomon Parham and Ron Evaniuk took no prisoners and offered no letdown as rain-soaked fans poured in, standing about 20 rows deep. 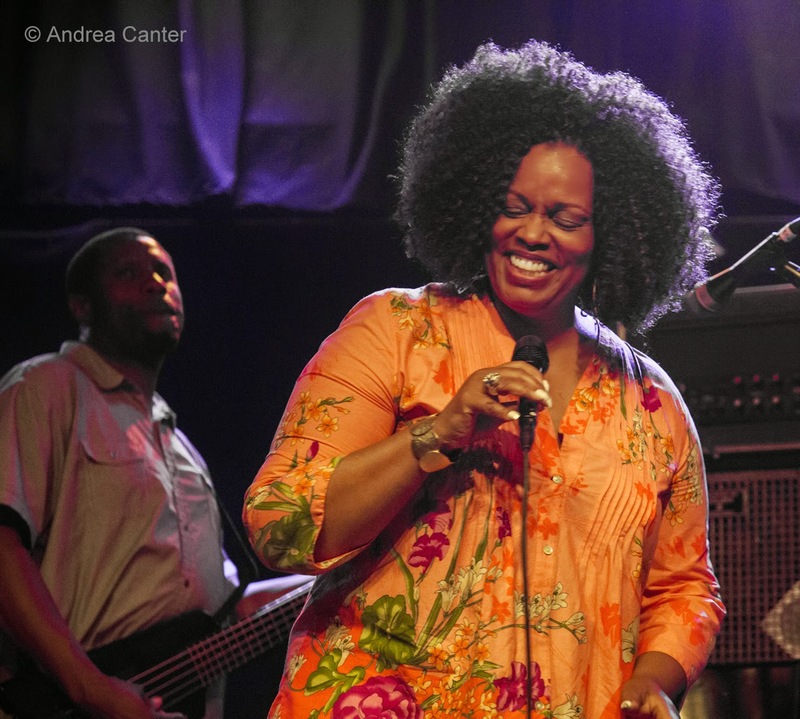 For many, the most eagerly awaited set was the last with Grammy-winning vocalist Dianne Reeves and a veteran band of top musicians, including Eau Claire native Geoffrey Keezer, along with Romero Lubambo, Reginald Veal and Terreon Gulley. Making the situation more dramatic, Reeves and her band arrived without luggage or change of clothes (save Keezer who had packed a carry-on). But did anyone care? Reeves looked stunningly casual and seemed to take both the luggage hassle and last-minute venue change (which included significant alterations in sound system and lighting) in stride, with good humor, and without any artistic let-down. Much of the music came from her new Concord recording (Beautiful Life), a challenging mix of jazz standards ("Summertime," "Stormy Weather" --how appropriate! ), pop (Marvin Gaye's "I Want You", Bob Marley's "Waiting in Vain") and original fare ("Tango"), every tune played as if a Grammy audition, relaxed and powerful. Her duet with guitarist Lubambo (a Brazilian twist on "Our Love Is Here to Stay") was particularly sublime. It was indeed a Beautiful Life, on stage and in the audience. 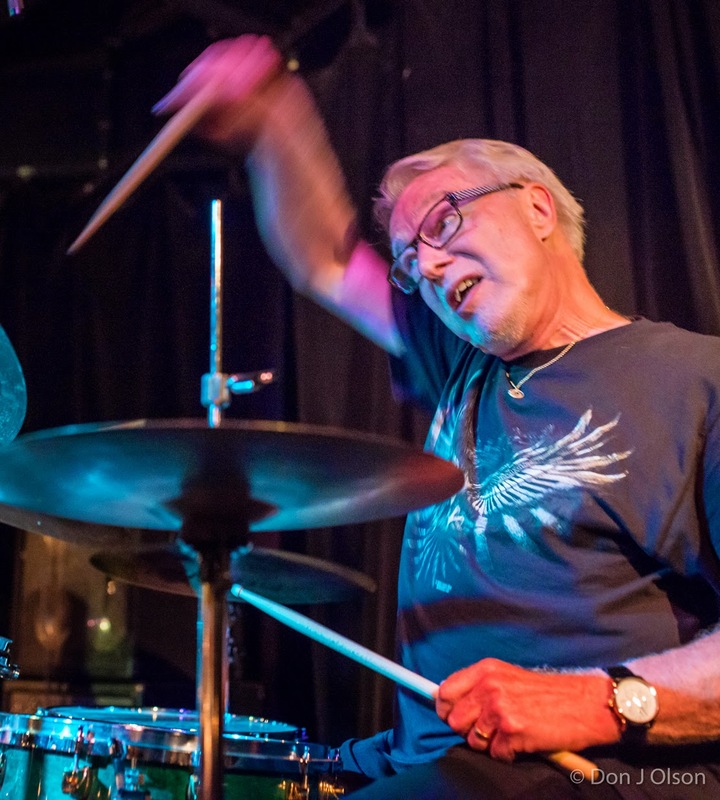 Over in the lower level of the Hamm Building, the Joe Krown Trio thrilled its tightly packed audience, and the subsequent jam session included none other than the AQ's retired owner Kenny Horst. Back in Lowertown at the Black Dog, I caught the last few thrilling notes of the youthful titans, Courageous Endeavors, and veteran Steve Kenny's band of young stars, Group 47 (Thomas Strommen, Will Kjeer, Adam Tucker and Alex Burgess) as they offered a preview of their upcoming release, Straight to Vinyl. It was past midnight and I could barely make it up a block of 4th Street to my parking lot, managing to catch Phil Aaron and Phil Hey as they packed up from their piano jazz gig at Studio Z. We looked up the street to see a late train pull into the LRT stop in front of Union Depot. The rain had stopped and the wet puddles shined with the red and green lights at the crossing. Soon the train pulled away, rolling past us down Fourth Street and into the Prince Street Station by the Black Dog. 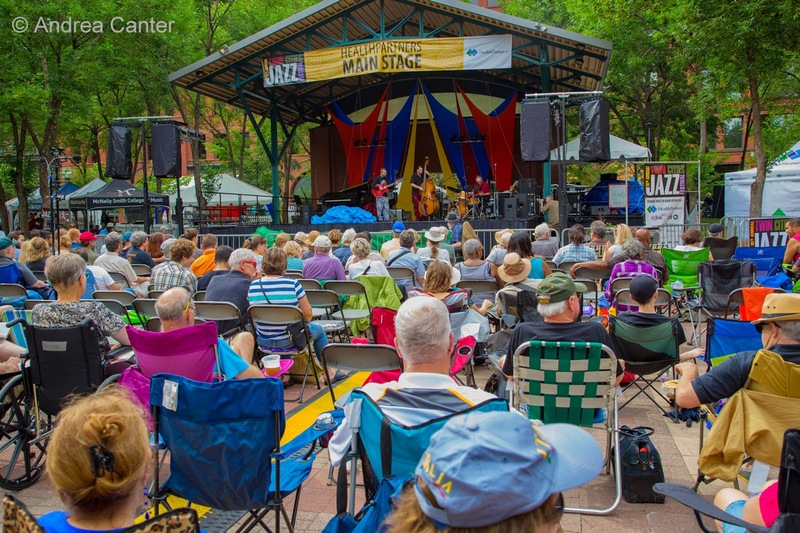 The 2014 jazz festival had been one heckuva ride. The 2014 Twin Cities Jazz Festival, directed by Steve Heckler and the nonprofit festival Board, was sponsored by HealthPartners, Saint Paul STAR program, Minnesota State Arts Board, Metropolitan Regional Arts Council, MyTalk 107.1, Dakota Foundation for Jazz Education, tpt, Jefferson Lines, McNally Smith College of Music, Travelers, Oak Grove Capital, Wells Pianos, MindSpark Creative, Jazz 88, Lowertown Future Fund (Saint Paul Foundation), Bigelow, and Alden and Mimie Drew, with ongoing support from the Saint Paul Mayor's office, including Mayor Chris Coleman and Joe Spencer. 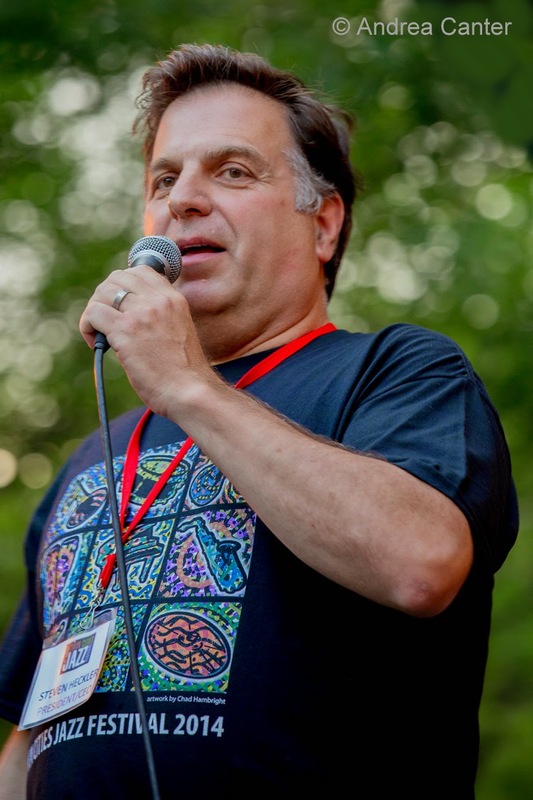 Visit the festival website at www.hotsummerjazz.com for more about the 2014 festival and information about donations and sponsorship. The official festival photo gallery is available at http://andreacanterjazzink.zenfolio.com/p942903518 and additional photo collections are posted on the festival Facebook page. Many thanks to the photo team of Andrea Canter, Don Olson, John Lombardi and Kelle Green. 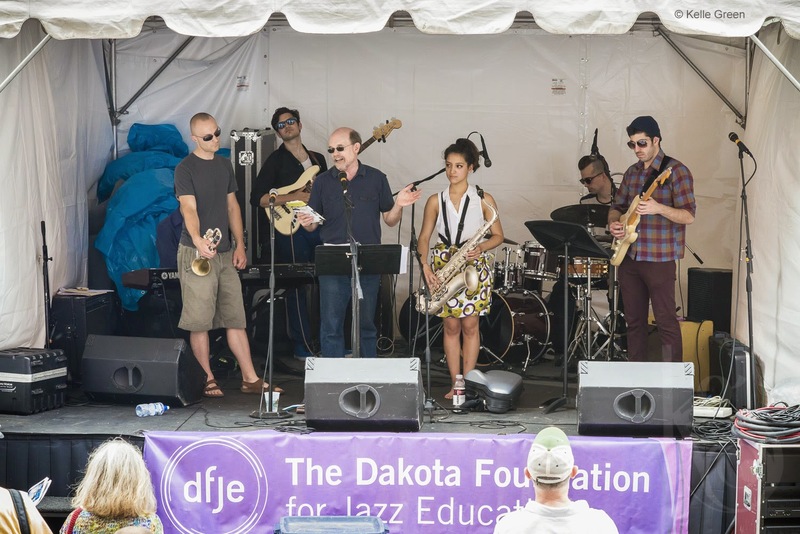 *Support for many aspects of the 2014 festival was provided by grants from the Minnesota State Arts Board, thanks to funding created by the voters of Minnesota via a legislative appropriation from the Arts and Cultural Heritage Fund and a grant from the National Endowment for the Arts.